Some people would suggest that there has always been a tendency to over-complicate SEO strategies. For years digital marketing experts told clients that an enormous amount of work is required to improve search engine positioning. Many of us within the SEO industry, however, know that this simply hasn’t always been the case. Depending upon the target keywords, some improved SERP positioning has often been that bit easier to attain. Google’s key updates over the past two years have certainly changed the overall scene. One of the biggest impacts of the Panda and Penguin algorithm updates has been to put a firm emphasis on the need to produce quality content and use quality link building techniques. This has been bad news for some small business owners, where there hasn’t been that reliance on good quality approaches. The changes have come as a shock to many SEO consultants. Those who have relied on low-grade link building approaches, have discovered that their work has not produced sustainable results. In many cases, there is a failure to identify what is required, to produce a sound strategy for the future. There is an enormous amount of confusion surrounding these issues. It shouldn’t really be a surprise that some website owners are struggling to understand what to do next. What steps should they take, in order to build a successful business for the future? It’s almost impossible to answer that question, without mentioning the need to concentrate on great content. 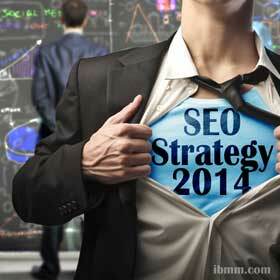 I would suggest that content will be at the heart of all successful search engine strategies in 2014. I believe that this is also a good thing, although it will require a change of priorities for some. So why is it a progressive step? If you have a web presence, it should offer a positive view of your business and the services that they provide. This is a significant change for those who have previously relied on putting up content in bulk, without giving consideration to what is being said about the business. Improving the quality of content can only be a good thing, ensuring that conversion rates are likely to rise too. The change in emphasising quality content and high value links will clearly have financial implications. After all, building low quality links in bulk tended to be pretty cheap. At least, it should have been, given that most of the actual work was probably carried out overseas. Making the move to a strategy that involves creating exclusive, unique content and conducting manual outreach means spending more hours on the process. That can only ever work out more expensive. But such a change will be worthwhile. A new work flow is needed to produce sustainable results. You shouldn’t have to pay for SEO, only to then pay even more money to tidy up SEO mistakes. It should be a continuous process, allowing you to move from one SEO success to the next. This is a strategic approach that should deliver a clear return on your investment. You’ll be spending money on putting great content in place, but with the obvious aim of getting great SEO results. Before long, you’ll see that it’s worthwhile spending more on SEO, simply because it will deliver increasing results for your business. It’s time to forget about some of the old ways of carrying out SEO. If you want success in 2014, then you need to embrace an approach that prioritises real quality. I really enjoyed reading your Article thanks for the tips.